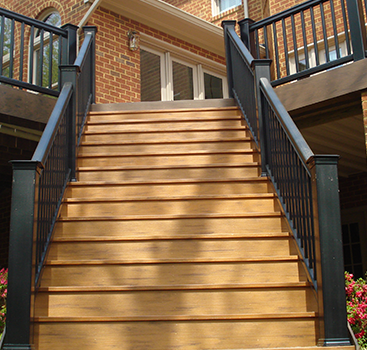 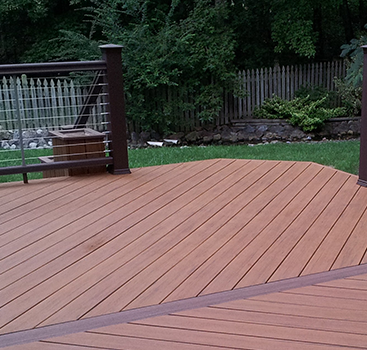 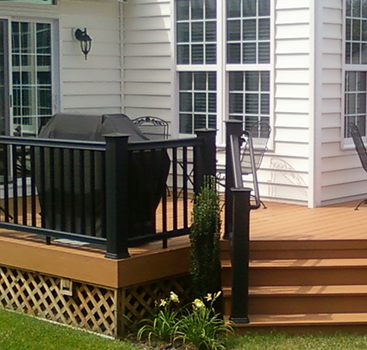 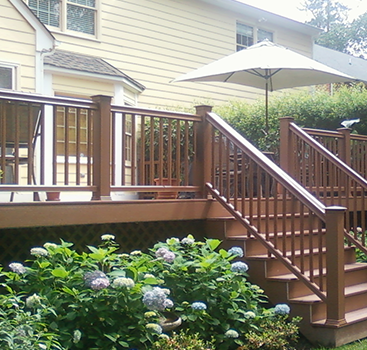 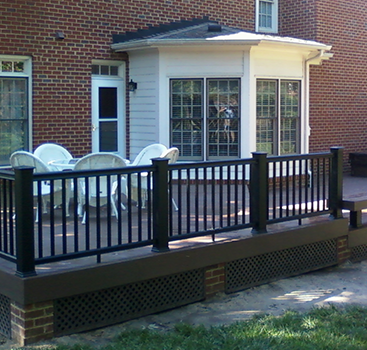 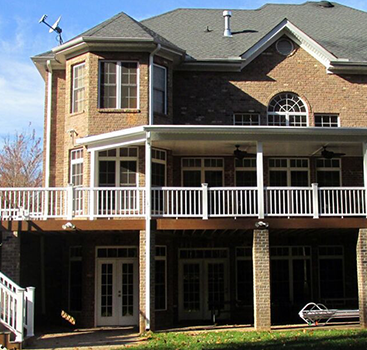 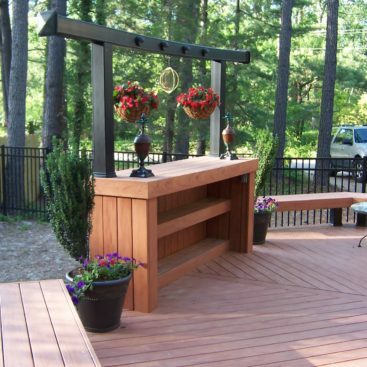 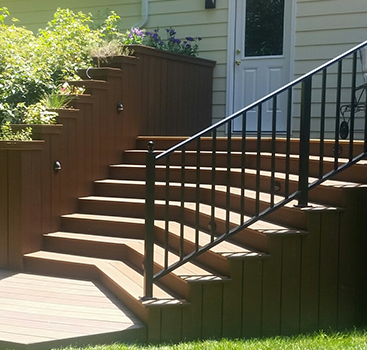 Wolf Composite deck with AZEK Reserve Rails on the Federal Golf Course in Hanover County. 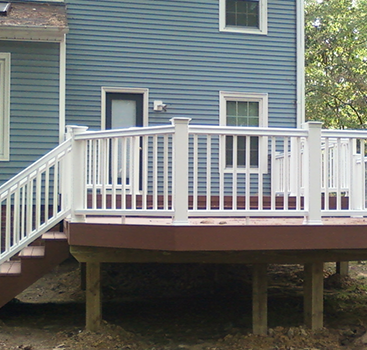 Added doors with transom to the kitchen bump out for additional access to the deck. 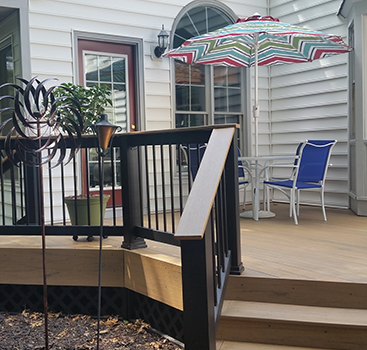 The deck connects the screened porch to the other doors on the rear of the house.